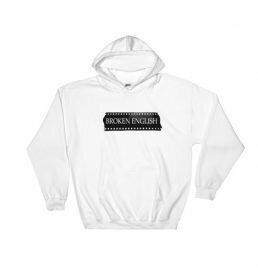 Please note all prices are in US dollars but do not fear, we do ship worldwide. 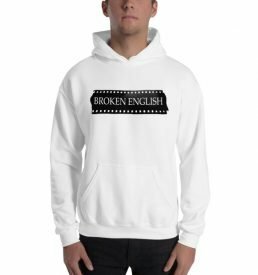 Buy a broken english shirt! 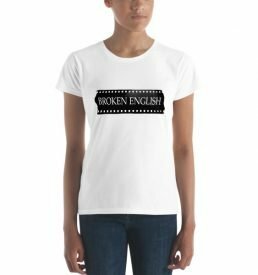 Convey to the world that you support Broken English Films and confuse them if they’re unfamiliar with our Broken English brand by walking around with the words on a film cell. It’s a win-win. 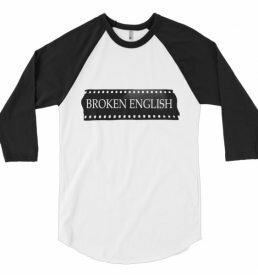 What more could anybody want other than a Men’s Short-Sleeve Broken English T-shirt to represent their love for Broken English Films? 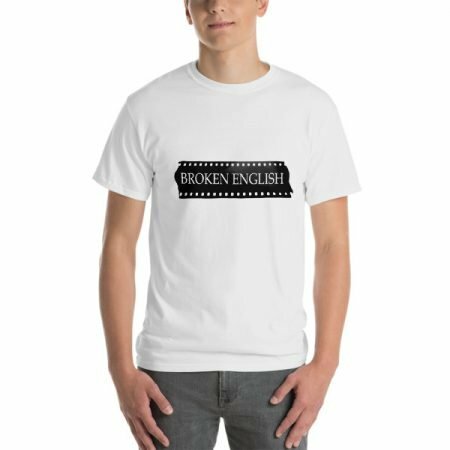 Or at least our logo.